“The Ephemeris” by William Jay is a unique and artistic work with aspects modeled on the styles of the Renaissance and the classical Greek era. .. (It)has masterful artistic and literary qualities and will provide rich entertainment for readers who understand the references to Classical and Romantic literary eras. 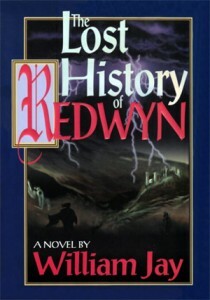 What a few critics said about The Lost History of Redwyn, pre-quel to: The Ephemeris, Voyages in DwREAM. – The West Coast Review of Books. – Library Journal (Review by Ellen Kaye Stoppel, Drake Univ. Law Lib. Des Moines). – Book Beat, WEZK FM, Knoxville. 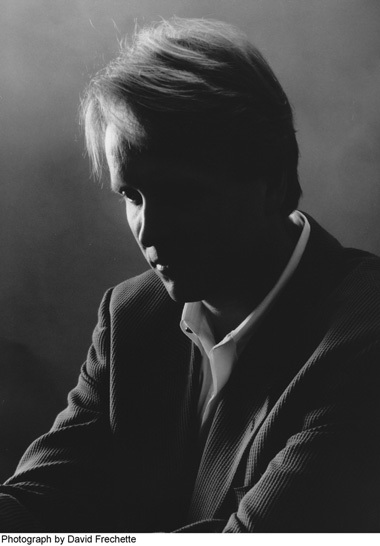 “This seems impossible to me, the combination of music and writing and drama. I was listening and I couldn’t believe what I was hearing, and then I was completely, I mean completely taken and overwhelmed. I started crying and I could not stop the tears!” Female… Therapist. 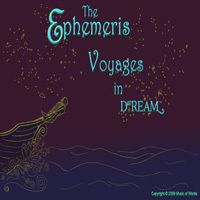 “The Ephemeris uses a unique combination of original music, a richly illustrated text and an outstanding audio reading by its author to unweave a profoundly moving story of the Early Renaissance that combines high adventure with deep insights into the human condition. It is a brillant achievement.” Male… Attorney. “I refuse to believe anyone has written anything close to The Ephemeris in the last 500 years.” Male… Bookstore Owner/Operator. “A combination of Mark Twain and Shakespeare. How do you pull that off?” Male… Money manager… Avid reader. “Genius, genius, just pure genius. This is totally captivating and unique. It carries you away and you are living in this world.” Female… Account Exec. “Just brilliant. The book has an ethereal, almost ghost-like feel to it—it feels like another world…it’s like the planet earth, but it could be anywhere in the universe…as when first Edgar and then they all began to wonder whether they were phantoms on another plain. Loved it.” Male… Musician/ Songwriter. “I have read Voltaire, Shakespeare, Mark Twain, and the Book of Job. Until now they were my favorite literary works. But now I think this is the best writing I have ever read. I cannot believe how good this is. I really just can’t believe it.” Male… Musician, Bank Exec… Avid audio book and literary reader. “I can’t believe the quality of this writing. Truly awesome! This is the kind of book that could be around a hundred years from now. The acting is great. The characters are so well defined. Truly great. If people have been waiting for something of genuine quality, here it is.” Avid reader of fiction and non-fiction. Retired. “I don’t think I can express how good this is…I think it is impossible for people who don’t know great writing to understand what this is. You have to have a frame of reference. All I can say is that FDR was grateful to live in the time of Churchill. I am now grateful to be living in the time of William Jay, the writer of a Millennium.” Male… Consumes several audio books and reads several books per week. “I can’t believe what I’ve read and heard. I feel like my soul was taken out of my body and cleansed!” Male… Retired… Avid reader. “This book is an absolute treasure!” Male… Author/Publisher. “Powerful, powerful, powerful. The Ephemeris is an emotional and engaging work of art. 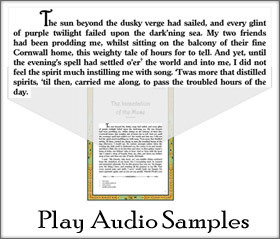 The meaning of the story comes to life through the poetry of words, music, and dramatic reading. These elements are perfectly intertwined, creating a rich, sensory experience.” Female… Singer and Musician. “ ‘…frozen droplets are my days—glittering, false jewels that melt as ice whilst I would save them in my clutching hand.’ Who writes like that? No one! Absolutely brilliant! I think this is the best thing I’ve ever read. Not a wasted word, so compact and dense. It just all hangs together so well and it shines like a stone that has been polished until every flaw disappears. Just a wonderful work of art, it really floors me. Can’t praise it enough.” Male… Writer/ Bookstore Manager. “Genius.” Female… Retired… Avid reader. “Chills. Just constant, Chills.” Female… Engineering Sales.